The War of Auto's Chevrolet Mini Car New release Chevrolet Beat and Chevrolet Sail MU Edition coming to India Soon! Chevrolet Beat and Chevrolet Sail MU Edition coming to India Soon! 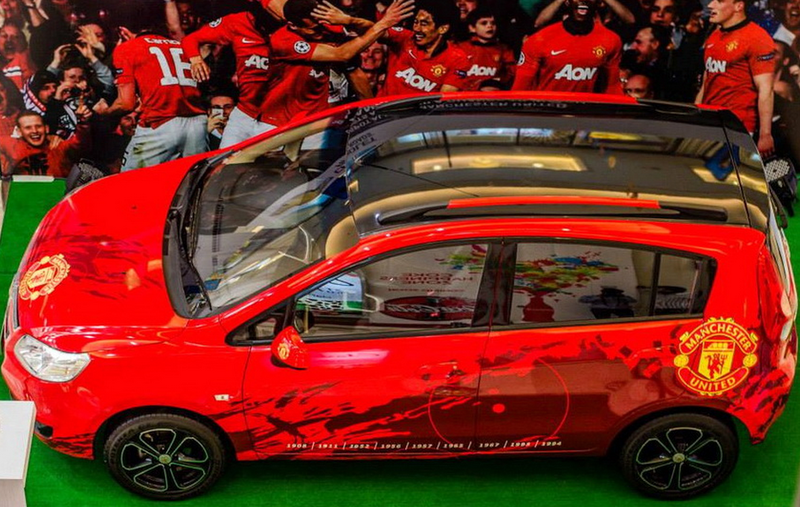 Officially formed a partnership with a British football club, Manchester United, now began to market Chevrolet cars special edition that comes with the theme of Manchester United. Like in India for example, in the Hindustan country began to market Chevrolet Chevrolet Beat or in Indonesia known as the Spark and the Chevrolet Sail which appeared with a bandage livery Manchester United. 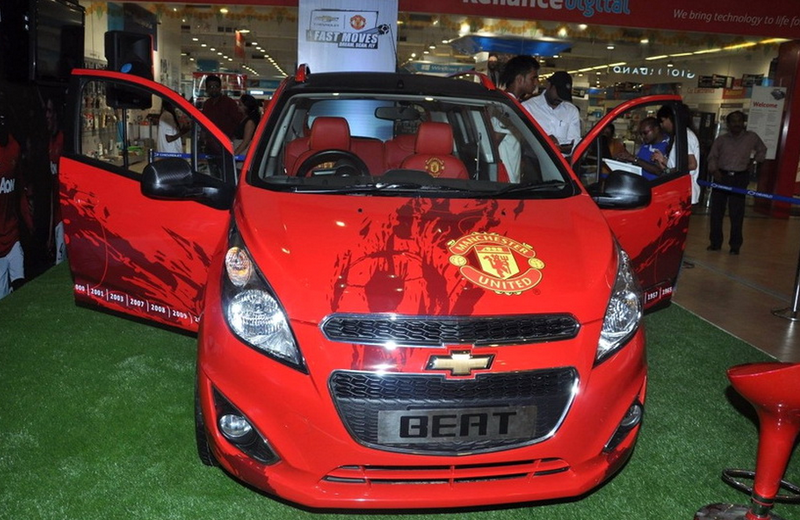 Chevrolet Beat Manchester United Edition and Sail Manchester United Latest Edition comes with a distinctive bright red color cast MU. In addition, Chevrolet also equip this particular edition car with alloy rims, decals and logos MU seen adorning the hood and roof with black bandage that looks more and make it look sporty. 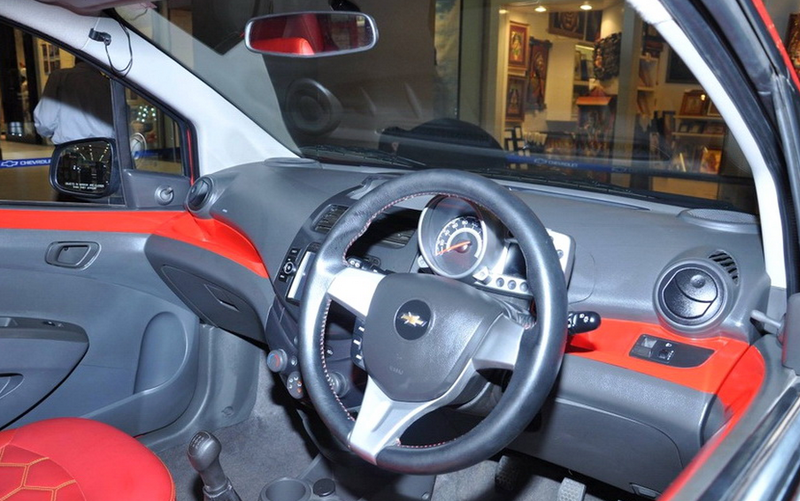 Not only that, the interior Spark and Sail MU Edition is also not free from the typical touch of MU, as the red color seen on the dashboard of his, and looks at the chair seat cover logo of Manchester United and Manchester United. As for the technical specifications, do not change, the Chevrolet Beat MU Edition will still rely on petrol or LPG engines with a capacity of 1.2-liter is capable of burst power to 79.3 bhp @ 6200 rpm with a torque of 108 Nm @ 4400 rpm. 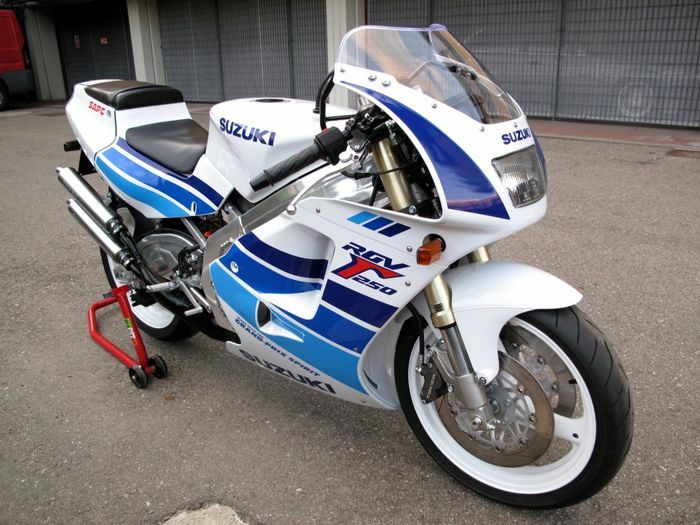 As for the diesel variant is equipped with a 936cc capacity engine capable of generating power up to 57 bhp with a torque of 150 Nm. As for Manchester United Edition Chevrolet Sail is also no change in the technical specifications, which still rely on a capacity of 1199 cc petrol engine that can generate power up to 86 bhp with a torque of 113 Nm. As for the diesel variant comes with engine equipped with a fixed capacity of 1.3-liter Fiat Multijet is able to catapult power up to 77 bhp with a torque of 205 Nm. All models are also equipped with front-wheel drive system that is channeled through a 5-speed manual transmission.